The Managing director of Loyal LED India Pvt. Ltd, Niranan Lal Pansari established a stamp in the field of electronics through Sri Balaji Videos. It has been at the forefront in many technical advancement in the home video segment. Telugu Film Industries, first Blue Ray CD, Magadheera was released by them. After becoming top company in home video, In 2011, the company expanded horizons and stepped into the Lighting arena. Since, the past few years it has set its sight in manufacturing LED bulbs. These are low power consuming and high light radiating bulbs. At a time when the Government of India is encouraging the business start-ups in India with 'Make In India' campaign, a decision is made to set up manufacturing unit in Hyderabad to manufacture more than 1500 models with own LED research and development with local technicians. 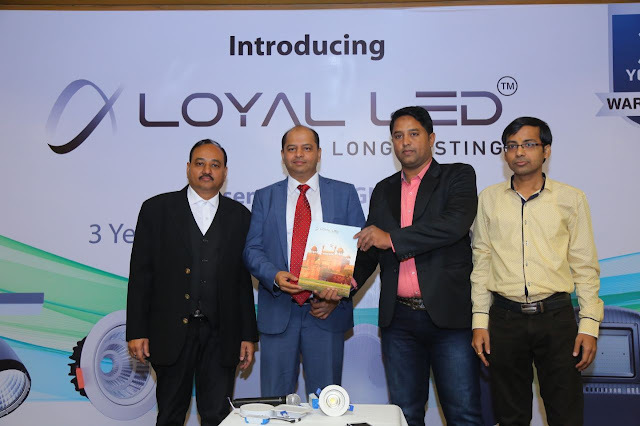 For this an agreement has been made by Loyal LED India Pvt Ltd with 'Wellcost' company who is quite popular in manufacturing LED lights in America, France, Italy, China, Middle East, Arabian countries. Director Niranjan Pansari also made an agreement to manufacture several patented products in India. A press conference has been held on this occasion today 11th December, at Blue Fox Banjarahills, Hyderabad. 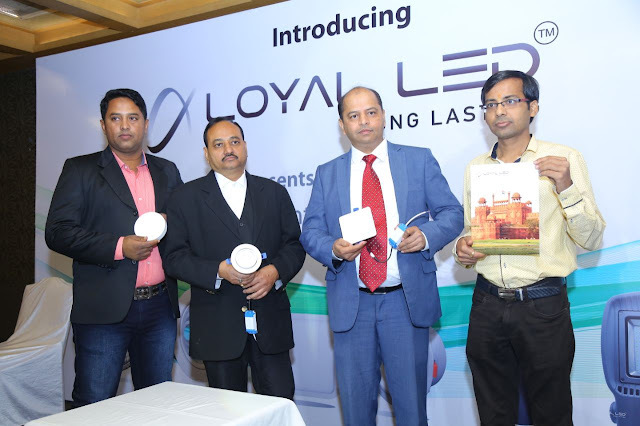 Loyal LED India Pvt Ltd Managing Director Niranjan Pansari, Wellcost Company CEO Ashfaq Shaikh, Well Cast Regional Manager Abdul Ameer Aziz, Loyal LED India Pvt Ltd., General Manager Amit Kumar Agarwal attended the event. 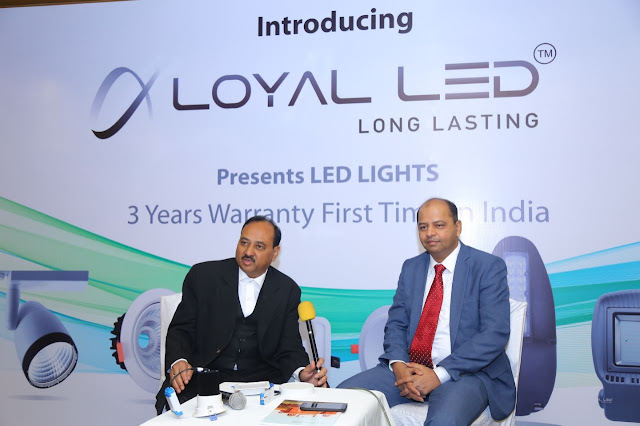 Niranjan Pansari says, " In India our 'Loyal LED' is the only brand which gives three years replacement warranty on LED lights. We launch our products initially in Hyderabad on December 13th. Then we are planning to expand them to Telangana , Andhra Pradesh and throughout India." Wellcost company CEO Ashfaq Shaikh says, " Wellcost company was established in 2009 at Hong Kong to manufacture engineering products for our projects. We entered into LED Designing in 2011. Since then we distributed LED lights to Malaysia, Hong Kong, India. We started to manufacture using factories at respective countries. In the same year we entered into 'International Trade Fair & Manufacturing'. We participated in India for the first time in LEAD fair in the year 2012 and we recruited distributors in India. We registered our brand name as 'LETTA' and became popular with good marketing. We manufactured with the help of local industries. We further expanded our brand after participating in UAE LED fair in 2014. With the help of our distributor in UAE we involved in many prestigious projects in UAE. Along with UAE our brand has very good market in USA, UK, France, Middle East, Europe countries. In India our our products are available in 1500 models with price ranges from 500 to 1500 rupees. Our lights used to enhance focus in indoor, residential, retail, hotel, industrial and outdoor like landscapes, porticos, plazas."